Here at System Hygiene we sell line marking paint that is ideal for marking out playing fields, golf courses and playgrounds. Our cans of paint are economical and free from CFC’s, and provide a quick and efficient way to mark out necessary lines. 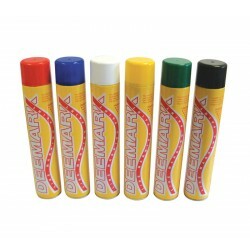 Tough and durable, line marking paint is available here in a choice of colours.